Balanced pressure drilling is a technique used to enable drilling to be undertaken from below the water table. It is used to control the ingress of ground water and fines into a borehole and out of the hole collar underground, with associated soil piping problems. It can also prevent drilling fluids being forced into the ground causing fluid loss, shear strength reduction or liquefaction. To prevent this occurring the drilling fluid pressure must be controlled to balance the ground water pressure and to also to enable efficient clearing of drilling cuttings. 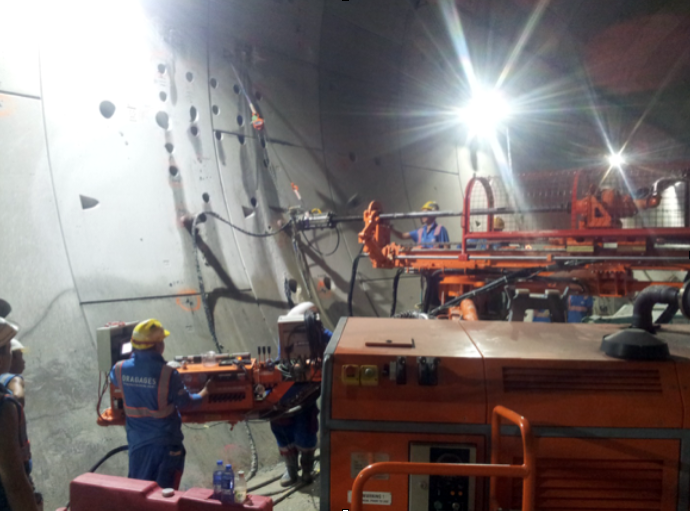 Sigra’s balanced pressure drilling system utilises rotary drilling techniques with drilling mud providing a balanced pressure and creating a mud cake on the borehole wall. Excessive mud pressure is avoided as this may lead to mud loss and other complications. 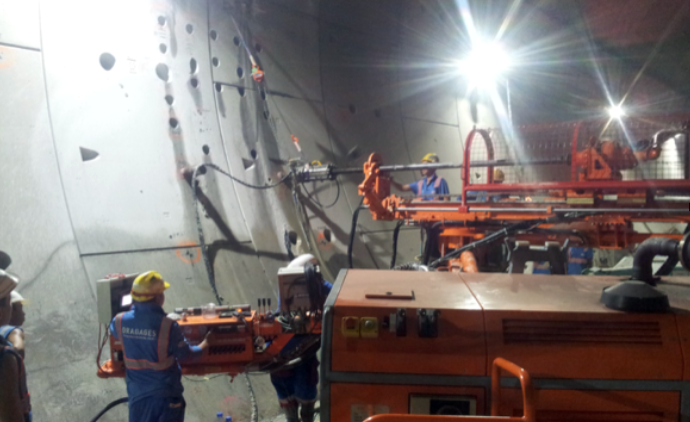 Drilling in this mode permits the insertion of structural strengthening elements under mud pressure. Choke to control drilling drilling mud and entrained cuttings at a carefully controlled back pressure within the borehole. This will handle large size cuttings . These items require bespoke design and manufacture to ensure they are fit for their intended use. Sigra designs and manufactures balanced pressure drilling equipment to suit the application. These can be built to operate at mud pressures from 5 kPa to 7 MPa. In addition to its surface well control equipment Sigra has manufactured equipment for use in drilling from underground mine roadways to prevent the the uncontrolled inflow of gas and water. Recently it has built a variant used between shallow bored road tunnels in soft, granular soils. This has been successfully used to prevent hole collapse and piping into the tunnel and to prevent the loss of drilling fluid and liquefaction of the ground above. Such events could have has serious consequences for the drillers and for structures above the tunnels.